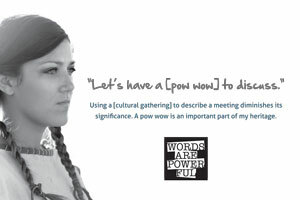 A Public Health & Human Services internal Diversity Action Team graciously makes available the poster, postcards and banner they developed for their Words Are Powerful Workshop. 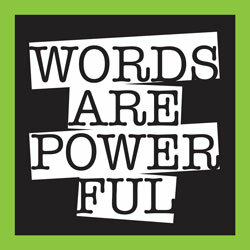 Words Are Powerful materials support the strategies found in Ouch! That Stereotype Hurts and Ouch! Your Silence Hurts learning programs. To support respectful and open dialog about how to effectively respond to and address this when it arises. 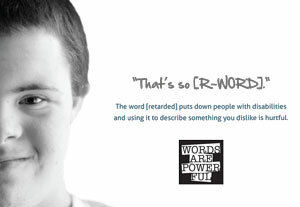 Words Are Powerful and all Words Are Powerful images and materials are copyrights of Creative Arcade. 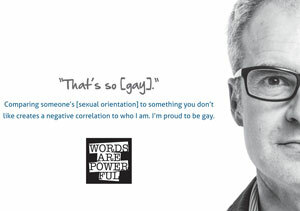 To order professionally-printed Words Are Powerful posters or postcards, click HERE! 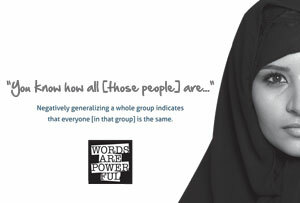 This project is the result of a passionate and caring county group collaborating to create educational tools that promote greater awareness around the power of our words. A Public Health & Human Services internal Diversity Action Team initiated this work bringing community partners together dedicated to promoting diversity and inclusion. 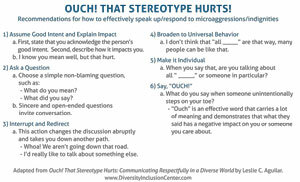 We also partnered with Leslie C. Aguilar, Diversity & Inclusion Center to incorporate her six recommendations for how to effectively speak up / respond to microaggressions / indignities. These are included in the postcards and are adapted from her educational DVD Ouch! That Stereotype Hurts: Communicating Respectfully in a Diverse World. The ultimate goal is to encourage the development of a different kind of PC — Professional Competence and Personal Consciousness.